Trees strengthen neighborhoods: When neighborhoods are full of trees, residents spend more time outside mingling with neighbors—building personal ties, stronger communities, and a greater sense of well being. MC Strengthening neighborhoods means people stay closer to home, which reduces environmental strains of commuting. George Washington University’s GroW Gardens has been providing fresh food to underserved Washingtonians since 2009. And thanks to a new $10,000 grant from Nature’s Path, an organic food company, the community garden will be enhanced and expanded in order to serve more people. The GroW Garden projects, which has its main location in Foggy Bottom on H Street between 23rd and 24th streets and a second location on the Mount Vernon Campus, is one of three grant recipients of this year’s Nature’s Path Gardens for Good Program. The program is designed to provide funding to further organic community feeding programs. Fellow blogger Judy Thomas, author of the Central Virginia Organic Gardener Blog, loves Lewis Ginter Botanical Garden. She writes about the Botanical Garden often on her blog and has recently started taking some of their classes. Here is one of her posts, entitled Documenting Your Garden, with some sketches she did while taking botanical illustration courses at Ginter. Judy thought that some of our readers might be interested in the schedule of classes at Ginter so she asked me to pass it along. Here’s a link to Lewis Ginter’s full Classes and Course Schedule. And don’t forget to check out Judy’s blog, as well as her great podcasts. It's a bit of a drive, but the GardenWise 2012 Workshop in York, Pennsylvania on Saturday, March 10th 2012 , from 8:00am to 3:30 pm, looks like it might be worth the trip. Susan Reed, author of the award winning Energy-Wise Landscaping Design, will share ideas and tips you can easily incorporate into your landscape. Dr. Michael Raupp from the University of Maryland will take you on a fascinating journey to learn “why bugs and plants make the world go round”. In between you can attend sessions on growing vegetables sustainably, using cover crops in the garden, heirloom and open pollinated plants, biorational pesticides and beneficial insects, or native plants and their role in garden design. Early bird registration (on or before February 21) is $49.00 and includes a full day of gardening talks, handouts, continental breakfast, and lunch. 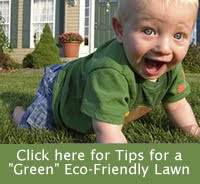 To register, call Kelly at 717-840-7408 and request a GardenWise brochure. Or go online to http://extension.psu.edu/york. Register early, as space is limited. I was standing outside, feeling my morning dose of awe and wonder that nature always seems to provide, and I decided I would come in and try to stir up some shared awe. So I came up with a short free form poem about what I felt outside, came up with an unused twitter hashtag for it, (#natureverse) and decided to see if I can encourage others to write their own natureverse. Go outside. Stand still and look around until you become inspired. Then come tweet what you felt. Make it short enough to include the hashtag #natureverse and save room for your twitter name and an @RT if you want others to be able to share it.